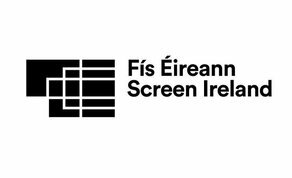 The deadline for applications to Screen Ireland’s Frameworks animated short film scheme, which is co-funded by RTÉ, has been extended to February 15th. An initiative for the support of short animation filmmaking, Frameworks is the flagship scheme for the Irish animation sector. The scheme has produced global award-winning films to a consistently high standard including titles such as Louise Bagnall’s Academy Award®-nominated ‘Late Afternoon’ and Alan Holly’s ‘Coda’, which was shortlisted for an Academy Award® nomination in 2015. Other notable Frameworks short films include Nicky Phelan’s ‘Granny O’Grimm’s Sleeping Beauty’, Jack O’Shea’s ‘A Coat Made Dark’ and Vincent Gallagher’s ‘Second to None’; all of which went on to become internationally award-winning films. Projects selected for Frameworks funding will combine creative exploration with an ability to appeal to a general audience. Click here for more information and guidelines.